Aries in the horoscope will add inspiration and confidence. To more timid souls, and especially if water and earth predominate, this position imparts some degree of self-assurance. The native with Jupiter in the sign of the ram, may jump into new experiences eagerly. Particularly if Jupiter aspects one of the “personal planets,” an “I can do anything” attitude certainly inspires others, but could get him into trouble as well! He could rush in where angels fear to tread, confident all will somehow work out! Success for him in most things is second nature. Your native may overextend himself, promising more than he can realistically deliver. Teach him the wisdom of planning. To be happy, he has to fulfill his own aspirations. Your native may be a born crusader. The Jupiter in Taurus in the horoscope native is born with a green thumb in many areas, able to cultivate and nurture almost any project. Taurus in the horoscope is an earth sign ruled by Venus, the planet of love and beauty. Therefore, it’s probable that your native likes beautiful things, jewelry and fine clothes. Making money may be second nature for him, and he is able to field ideas and bring forth growth and success. (Get him started on cookie sales, car washes and raffles!) he needs an understanding of the usefulness of money and things balanced with spiritual values lest he become attached to material goods. If your native is happy at home and senses his material and emotional needs are met, he can more easily let go of things. With afflictions, this placement can indicate complacency, especially if the native is over-indulged. In caring for his belongings, in learning to share, in handling his allowance, teach him to be a just steward. He likes to accumulate and may equate success with wealth. Jupiter in Taurus in the horoscope natives will look to you for practical applications of religion and philosophy. Make sure you practice what you preach! The Jupiter in Gemini in the horoscope native seeks to expand his mental horizons through social contacts and study. Your native enjoys asking questions, searching for answers and following leads. Your native might be headed for a career in communications of one kind or another. Perhaps he will begin by working for the school newspaper or yearbook. he’s got what it takes for reporting, writing, speaking, broadcasting, advertising — any and all networking. Basically a favorable position for early schooling, it nevertheless may incline toward mental restlessness. This position favors teaching, publishing related positions, receptionists and historians. Throughout his life, your native will attract friends who can broaden his horizons. Although he may amass much knowledge, he needs to look for practical ways to put his knowledge to use. Especially if personal planets are in air signs as well, this placement can indicate a “walking encyclopedia.” If Jupiter in Gemini in the horoscope makes squares to personal planets, you will need to help your native tether his mind by teaching his good study habits and insisting he finish what he begins! Jupiter is said to be exalted in Cancer in the horoscope. If free of major affliction, Jupiter in Cancer in the horoscope usually points to a happy home environment. Generally, the mother is sincerely interested in the natives welfare and takes the time to instill in the native right religious and moral values. The family may be well educated. The philosophy of life established in native hood may be carried into adult life. As an adult, your natives home may be a center of educational, philosophical and religious activities. Cancer in the horoscope relates to the home and to the stomach. Your native may enjoy cooking almost as much as he likes eating! But his eye may be bigger than his stomach! Or his tendency might be to eat what looks good rather than what is necessarily good for him. Therefore, its important to teach him sensible eating habits from early native hood. A career in big business is possible for your native later on, for he likes broad, secure foundations. This placement also favors careers in real estate, farming, food produce, schooling and home appliances. The native with Jupiter in Cancer in the horoscope tends to be supportive and nurturing toward family and friends. Generally, native with their opportunity planet in the sign of mother, like to help out at home. Your natives sense of family could embrace the community. As an adult, he could take an active role in community affairs. Leo in the horoscope relates to the Sun and to the heart. Therefore, natives with their action planet in this fiery sign often display generosity of heart and courage. This is a placement of “noblesse oblige” and your native may be the first to help out a friend in need or a bird with a broken wing. The Mars in Leo in the horoscope native tends to react defensively to correction. (Astrologers call the Leo in the horoscope reaction the “wounded knight syndrome.”) he may be so sure of himself that he can’t imagine being wrong! The Jupiter in Virgo in the horoscope native looks for opportunities to give practical service to others. He has a fantastic appetite for detail work, and can take it all in and still look for more. Generally speaking, he is willing to work hard to reach the top and leaves no stone unturned. Willing and able to respond to almost any emergency, he is responsible by nature and is ready to lend a hand. Secretaries, waiters, nurses, teachers and others in serving positions often have Jupiter in Virgo in the horoscope. This placement is also favorable for engineers, accountants, writers, and researchers. Jupiter in Virgo in the horoscope natives are happiest in clean and orderly environments. If Jupiter is afflicted, however, you might see the opposite. Help your native organize his room and person, but discourage him from being overly demanding or picky, especially of others. The Jupiter in Libra in the horoscope native likes dealing with people. Your native could later enjoy a career working with people as a go-between, negotiator, or mediator, for he tries to be all things to all people — the mirror. Unless he discovers what he wants to do apart from the opinions of others, he may find it difficult finding his niche in this world as an adult. Your native is a natural diplomat. As a native , he may help quarreling friends smooth over their differences. He looks toward relationships which are spiritual in nature and unless Jupiter is seriously afflicted, he tends to be cooperative and fair with his friends. A tendency to see both sides could make it hard for him to choose a career later on. This placement favors lawyers, diplomats, arbitrators and public relations personnel. Big vision, big business, the Jupiter in Scorpio in the horoscope native typically gears toward where the action is most intense. When he talks about his dreams they tend to be big scale. He has a penchant for mysteries, secrets, intrigues. A tendency to be suspicious could hamper his otherwise finely attuned shrewd judgment of people and situations. This placement lends itself to careers dealing with real estate, taxes, corporate finances and fund raisers. You may discover at the ol’ lemonade stand that he is born entrepreneur. If other indicators agree, this placement is favorable for any scientific endeavor. Your native may show early interest in the deeper mysteries of life. In its highest sense, Jupiter in Scorpio in the horoscope indicates uncompromising faith. Born with the opportunity planet in the sign of religion, law and philosophy, your native will seek out people and experiences that broaden his horizons. He could delight in travel, especially to faraway places where people speak a different language and eat different dishes. He embraces religion easily, or if religion is not a part of the early training, he could adopt a certain stance or philosophy. He doesn’t like work for its on sake only, but sees his vocation as a vehicle for expressing his particular philosophy of living! Always on the go, your native may grow to be a skilled diplomat, negotiator, or representative. Honest, frank, and to the point, he could be prone to side-step routines whenever possible! He likely loves the outdoors, horses, travel, and sports. Especially if Jupiter positively aspects one or more of his personal planets, your native tends to look on the brighter side of things. He has an innate sense of things working out in the end. Generally independent, you may have difficulty convincing your native of the need for playpens, fences or curfews! A bit grown-up for his age, the Jupiter in Capricorn in the horoscope native is typically dependable, trustworthy and responsible. He is quick to get the outline or skeleton of a project, to see how things work. At its best, this is a position of great integrity and know-how. Your native is likely to be conscientious. He is concerned with getting ahead. Merit programs where his good behavior can earn him greater privileges, badges, and recognition appeal to him. 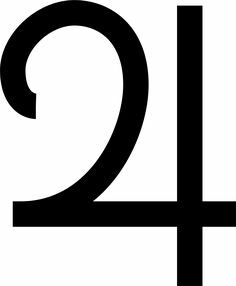 On the negative side, with his opportunity planet in this earthy sign, ambition for material things or status can take over. Especially if Jupiter forms squares or opposition to personal planets, he could be too hard on himself or others. Jupiter’s natural expansiveness is curtailed by excessive Capricorn in the horoscope caution, fear or procrastination. Show your native by example and direct experience how a positive mental attitude leads to success. He will look to the father for spiritual guidance and for direction in mastering the physical world. Aquarius in the horoscope is the sign of individuality and freedom and Jupiter relates to new horizons, so you can bet that your native will seek unique and creative ways of self-expression. A true progressive, especially in community or group work, he may be democratic to the point of being radical — an idealist, a revolutionary, a reformist or a rebel! This is the position of the scientist who opens up new vistas, works on group projects, catapults reform. Teach your native that true freedom is framed by accountability and that no one can be a law unto themselves. As he matures, your native will show a great interest in new trends and world affairs. This placement favors a career in aeronautics, diplomatic corp, personnel management, reform movements and astrology. Your native is future-oriented. The Mars in Pisces in the horoscope native usually benefits by early religious training. At times, your native might appear lost in the clouds! Help bring out his natural creativity and imagination, but also help him tether his mind to the here and now! Teach him to “dive in the waves” rather than evade problems. Your native may need your help overcoming his fears. Sometimes, natives with this placement are moody. Some find it hard to take criticism. A good balanced diet would help your native keep his feet on the ground. At best, a position of enlightened compassion and an excellent placement for nurses, social workers, healers, teachers. Mars in Pisces in the horoscope also favors work behind the scenes, such as theater production. Negatively, natives with this position may brood, whine or complain, or call attention to themselves through physical ailments. Teach him to rise above it! He may find it difficult to challenge problems head on. Make sure your household is free of alcoholism and teach your native the danger and futility of escapism.